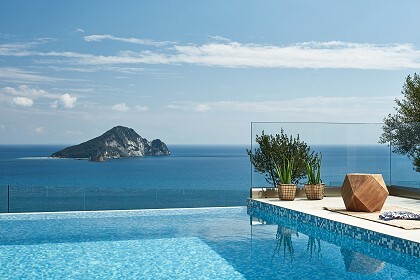 Zakynthos Villas consists of 4 beautiful villas. 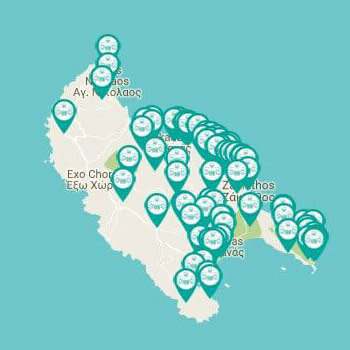 The villas Athina, Evi and Giannis are located in Vasilikos tourist resort and Villa Iliachtida is situated in Lithakia village. The villas are an impersonation of hospitality. Enjoy the tasteful interior decoration, the handmade furniture and the luxurious services. Let yourselves to the enhancing beauty of the scenery, walk the golden beaches, enjoy the clear blue waters of the Ionian Sea, live the full magic of the island and relax. 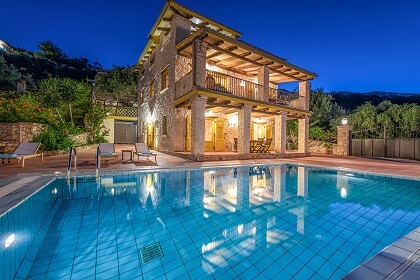 Villa Athina is located in a picturesque and tranquil location. 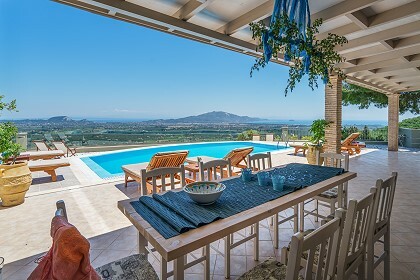 It is the first villa you find on your way to villas Zakynthos in Vasilikos. It is colored purple shades and can accommodate 6 – 8 people. It includes three floors with a spacious kitchen on the ground floor, 3 living rooms, 3 bedrooms and 3 bathrooms, each on every floor. Outside, you will find a private jet stream system swimming pool, shower, BBQ and parking space. Villa Evi is the second villa of the complex, also located in Vasilikos area. It is covered in yellow shades and can accommodate 6 – 8 people. It consists of 3 floors with 2 big kitchens (one on ground floor and the other on the 1st floor), 3 living rooms, 3 bedrooms and 3 bathrooms, each on every floor. Outside you will find a private jet stream system swimming pool, shower, BBQ and parking area. 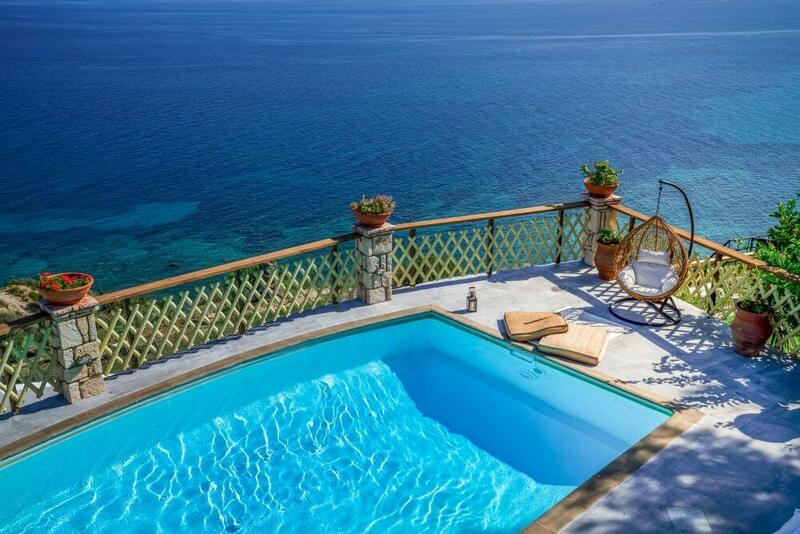 The multicolored villa Yiannis is located in a picturesque and tranquil area of Vasilikos tourist resort. It can accommodate up to 4 people and consists of 2 floors. It includes 2 bedrooms, 2 bathrooms each on every floor, unique furniture, stylish decoration, a fully equipped kitchen, dining room and living room on the ground floor. Outside there is a private jet stream system swimming pool, shower, BBQ and parking area. 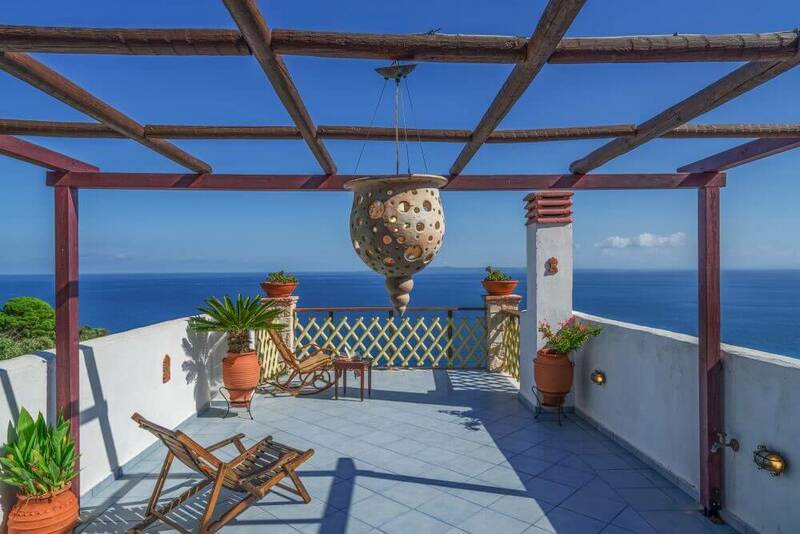 Villa Iliachtida is a traditional 2floor house with a large garden of 2,000m2 that ensures complete privacy. 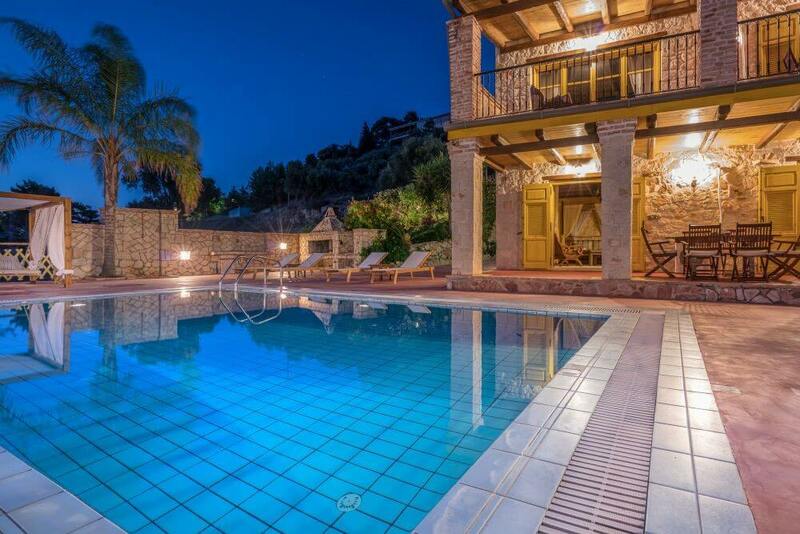 The villa can accommodate up to 9 people. It consists of a spacious living room with dining room and kitchen, 2 bedrooms and 2 bathrooms on the first floor. The ground floor has an independent entrance and veranda, providing 2 more bedrooms with a bathroom each and a gym-playroom with another private bathroom. Outside there is a 600m2 area covered with lawn, a swimming pool and a patio with the characteristic traditional tile roof, which provides a fully equipped kitchen, a dining table, BBQ and bathroom. Each villa except for balconies with amazing views, has many facilities that will ensure a comfortable vacation with many happy memories to take with you. Some of them are air conditioning, Wi-Fi internet access, satellite TV, DVD and stereo, hairdryer, safe, washing machine, dishwasher, etc. There are also many helpful services on offer like transport to and from the airport or port and housekeeping twice a week including linen change. 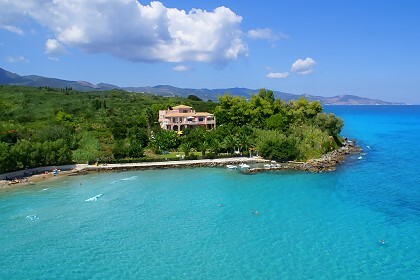 The three villas are located in Vasilikos. This is one of the most well known tourist resorts because of its beautiful sandy beaches chosen by the endangered sea turtle Caretta Caretta to lay its eggs. You can find everything here, like shops, traditional tavernas, bars, water sports, etc. Villa Iliachtida is situated in Lithakia village. This is a traditional Zakynthian village with many olive trees that is close to 3 tourist resorts, Laganas, Keri and Agios Sostis. All three are different, Laganas more lively, Keri very scenic and Agios Sostis quiet and secluded offering visitors a lot of different choices.